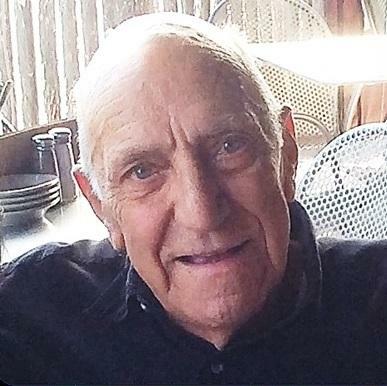 Mario Nicholas Blangiardi of Beverly, MA died on Monday March 28, 2016 at the age of 85 from complications of kidney disease. Mario will be loved and missed by surviving wife Dorothy Blangiardi, his sons Peter Blangiardi and Michael Blangiardi, his daughters in law Lynne Blangiardi and Mei Liu, his sister Ann Braasch, his grandchildren Nicholas Blangiardi, Peter Blangiardi, Nicole Blangiardi, and Christopher Blangiardi, as well as his many nieces and nephews. He is preceded in death by his brother Salvatore, his sisters Josephine, Mary, and Angie, and grandson Anthony Blangiardi.Mario was born on April 7, 1930 in the City of Boston, MA, to his father Agrippino Blangiardi and his mother Grace Blangiardi. He grew up in a large, loving family with one brother and four sisters. Mario was married to Dorothy Poole for 55 years in Beverly, MA where the couple lived and raised their two children. He joined the Navy in 1948, served in the Korean War as an Aviation Mechanic Petty Officer 3rd Class. Mario was Past Commander of the Vittori-Rocci Post #56 and sat on the board of trustees for several years and was active at Regional and State levels as well. Private services are to be held. Condolences may be sent to the Blangiardi Family, 395 Essex Street Apt. 209, Beverly, MA 01915.